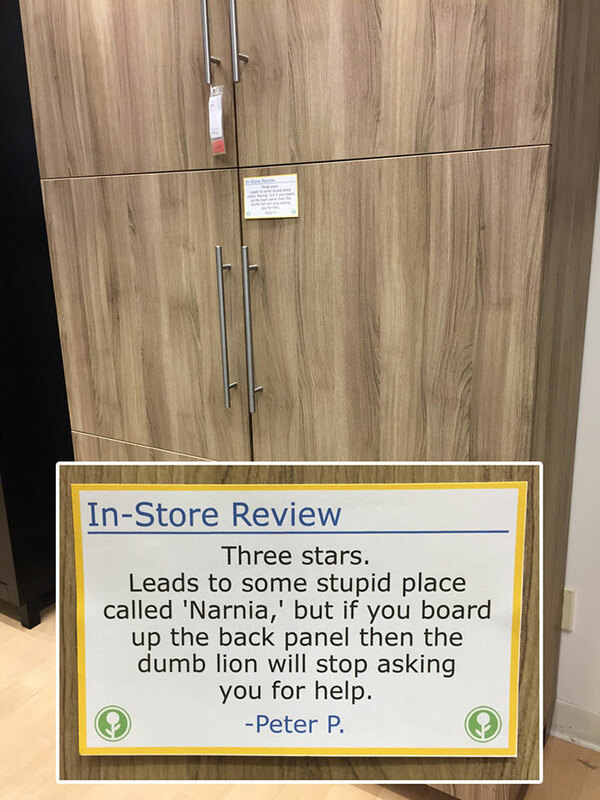 Not your typical IKEA reviews! 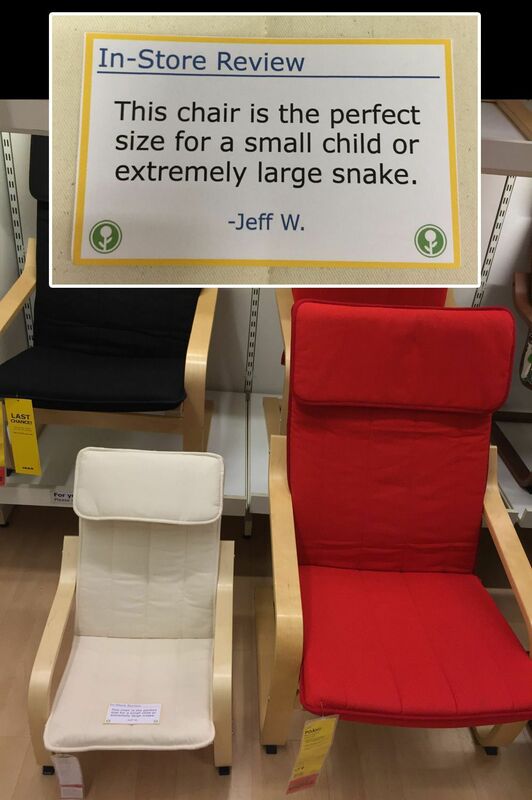 Internet comedian Jeff Wysaski – also known as Imgur user obviousplant – decided to troll the famous furniture retailer company by posting hilarious in-store reviews on certain pieces of IKEA’s furniture and housewares. The California resident has become known for his pleated-jeans website, as well as photos of in-store pranks. 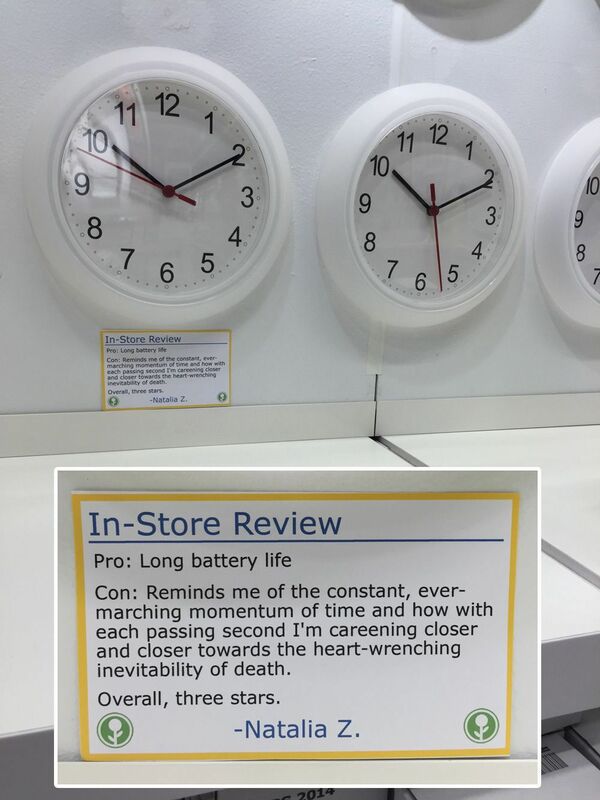 Wysaski wrote the funny reviews under a number of aliases and strategically placed them on products in the store. The comedian explained that he does a lot of brainstorming sessions and that he always wanted a career in comedy. 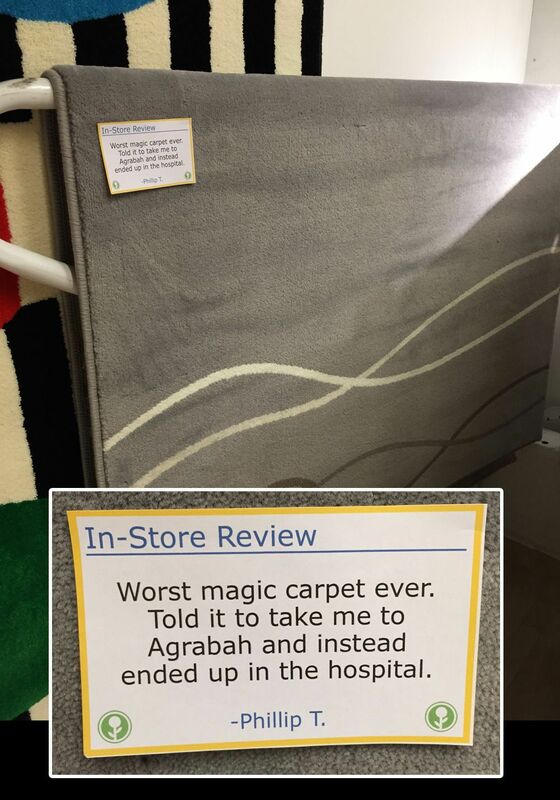 Wysaski’s in-store reviews have gone viral ever since he posted them on Imgur, and more than 1 million people have viewed his post in just 18 hours.